New Guinea is mentioned by the author in connection with the religious rituals of cannibals, compared to current rituals related to the war. This is his introduction to Katz' og Švejk's field mass. New Guinea was by 1914 split between the Netherlands, the British Empire and Germany but Australian forces occupied the German part already in 1914. New Guinea is the second largest island in the world and is located just north of Australia. Today the island is divided between Papua New Guinea and Indonesia. [1.11.1] Lidožrouti ostrovů Guinejských a Polynesie, než sežerou slavnostně své zajatce či lidi nepotřebné, jako misionáře, cestovatele a jednatele různých obchodních firem či prosté zvědavce, obětují předtím svým bohům, vykonávajíce nejrozmanitější náboženské výkony. Poněvadž k nim nepronikla ještě kultura ornátů, vyzdobují své hyždě věnci z pestrého péří lesního ptactva. Polynesia is named when the author expands his opinion on religious rituals in connection with executions. Polynesia is a subregion of Oceania, made up of over 1,000 islands scattered over the central and southern Pacific Ocean. The term "Polynesia" was originally applied to all the islands of the Stillehavet. The only major political and geographical entity is New Zealand. The American state of Hawaii is also in Polynesia. The islands are partly independent, partly belonging to other states (USA, Chile, France and Australia). Until 1914 Germany was also present (Samoa). [1.11.1] Lidožrouti ostrovů Guinejských a Polynesie, než sežerou slavnostně své zajatce či lidi nepotřebné, jako misionáře, cestovatele a jednatele různých obchodních firem či prosté zvědavce, obětují předtím svým bohům, vykonávajíce nejrozmanitější náboženské výkony. Spain is mentioned by the author when he tells about methods for executing people, and accompanying rituals where clerics take part. In this case there is talk "of a chair where the victim is strangled", certainly the garrote (el garrote). 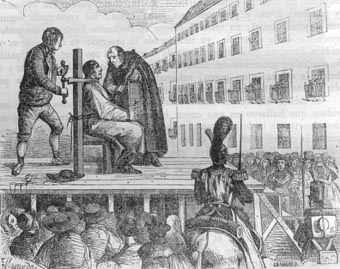 This execution device has been in use until present times, and not only in Spain. The country was mentioned indirectly already in [I.2] through the term "the Spanish boot", an instrument of torture. Some geographical points in Spain also appear in the novel: Madrid, Toledo and Seville. Amongst historical figures Ignatius of Loyola is the only one referred to. Literary figures on the other hand are better represented: Don Quijote, Sancho Panza and the still unidentified Almavira (Duke of) and his servant Fernando. Spain was in 1914 a kingdom and preserved its neutrality throughout the world war. Conflicts with Germany occurred because some Spanish ships were sunk, but there was never any armed action taken from the Spanish side. [1.11.1] V Prusku vodil pastor ubožáka pod sekyru, v Rakousku katolický kněz k šibenici, ve Francii pod gilotinu, v Americe kněz na elektrickou stolici, ve Španělsku na židli, kde byl důmyslným způsobem uškrcen, a v Rusku bradatý pop revolucionáře atd. Bremen is mentioned by Švejk when tells Katz that he learned to make grog in Bremen. He was there on his wanderings a few years back. Bremen is one of the few places outside Bohemia that Švejk explicitly says he has visited. Bremen is a city and port in north west Germany, 60 km south of the mouth of the river Weser. During the times of Švejk it had status as a Freie Hansestadt (Free Hanseatic city). Although Švejk says he has been to Bremen, there is no evidence that the author himself ever went there, so it is not clear what might have inspired this story. A possible source is Zdeněk Matěj Kuděj who traveled to New York from Cuxhaven on 17 March 1906 and may well have visited nearby Bremen on the way. What Jaroslav Hašek no doubt was well informed about was the Bremer Räterepublik from early 1919, one of the two best known Soviet Republics on German territory. The revolutionary republic lasted for only one month. The English Channel is mentioned when Švejk tells Katz that grog must be so string that one can swim across the Channel with one a these inside. The English Channel is a strip of sea that separates England and France. It is part of the Atlantic Ocean, and connects this to the North Sea. 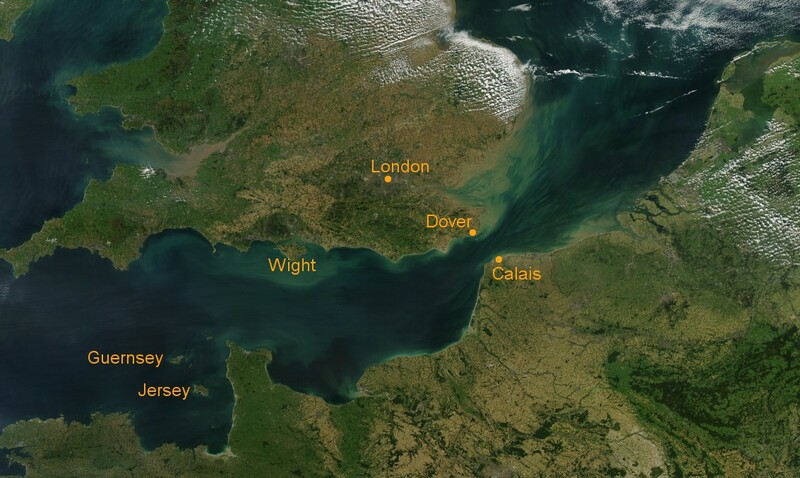 The channel is at its narrowest between Dover and Calais where it is 34 km wide. Mödling is mentioned by the author in connection with the race Vienna - Mödling where senior lieutenant Witinger had won the cup that field chaplain Katz used as a chalice at the field mass. Witinger reportedly ran 40 km in 1 hour 48 minutes. Mödling is a town in Niederösterreich, with a population number (in 2007) of around 21,000. The town is situated 16 kilometres south of Vienna and is often called Perle des Wienerwaldes. Witinger allegedly ran 40 km in 1 hours 48 minutes, which suggests that the author's imagination was in full flow or that he knew facts that have been lost for later generations. The marathon (41,185 metres) world record per 2016 is 2.02.57 and was claimed by Dennis Kimetto in Berlin in 2014. This is the first example in the novel of the author's disregard for chronological accuracy. Obviously Jaroslav Hašek could also have got the distance wrong, the actual distance between the towns (16 km) gives an indication. That said it may well be that the author was perfectly aware of the distances and times involved and that he was simply making fun of the boastful Witinger. Zhoř is mentioned in an anecdote Švejk tells the priest in Vršovice, where he implicitly threatens with the worst if the field altar, the property of the army, doesn't appear again. The place is mentioned again in the story about Špatina in [III.2]. Zhoř is the name of several places in Bohemia. The author has surely been aware of most of these, so it's anybody's guess which one he has in mind. It should still be assumed that it is from an area he knew well, for instance Vysočina or South Bohemia. Zhoř by Vilémov is a clear candidate as it is mentioned in the same series of anecdotes as Chotěboř. [1.11.2] Jeden člověk ve Zhoři taky vyoral nějakej kalich na poli, kterej pocházel ze svatokrádeže a byl tam schovanej na lepší doby, až se na to zapomene, a považoval to taky za pokyn boží a šel, místo aby jej rozšmelcoval, k panu faráři s tím kalichem, že prý ho chce darovat kostelu. Chotěboř is mentioned in Švejk's conversation with the priest in Vršovice, relating to a certain Pivoňka. Chotěboř is a town in Vysočina with 9,633 inhabitants (2011). It is located 14 km north east of Havlíčkův Brod and belongs to the district of that same name. In 1913 the town was the centre of hejtmanství and okres of the same name. The population count was 4,481 and all of them apart from 9 were registered as Czech nationals. Jaroslav Hašek visited Chotěboř in the summer of 1912 and this stay no doubt inspired the story Zrádce národa v Chotěboři (The traitor of the nation in Chotěboř). It was printed in the satirical magazine Kopřivy on 10 October that year. The author stayed at Panský dům and the building boasts a memorial plaque in his honour. [1.11.2] Nějakej Pivoňka z Chotěboře považoval jednou také za boží řízení, když se mu do rukou připletla ohlávka s cizí krávou. Zambezi is mentioned in the author's description of the field altar, which just as well could have been used by pagans from that area. 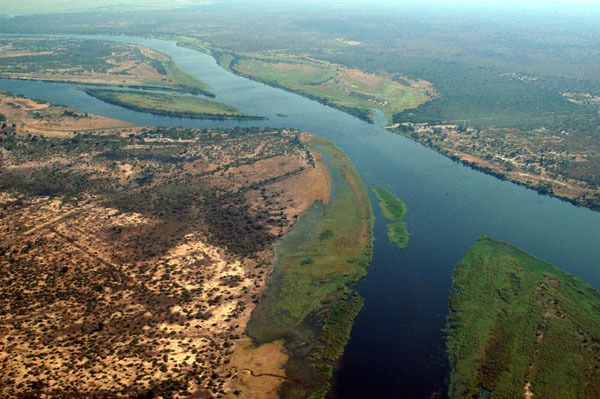 Zambezi is Africa's fourth longest river and flows from west to east in the southern part of Africa. [1.11.2] Nebylo také možno zjistit bez fantasie, co vlastně představují obrazy namalované na těch třech dílech. Jisto je, že to byl oltář, kterého by mohli stejně používat nějací pohani na Zambezi či šamáni Burjatů i Mongolů. Buryatia is mentioned in the authors description of the field altar which according to him just as well could have been used by Buryat and Mongol shamans. Buryatia is an autonomous republic in Siberia between Baikal-sjøen and Mongolia. The Burjats is a people of mongolian descent, no in a minority in the republic. In 1923 Buryatia became an autonomous Soviet republic (ASSR). The capital is Ulan-Ude and the Trans-siberian railway goes through the republic. In 1920 Jaroslav Hašek ran propaganda activities amongst the Burjats and even taught himself some of the language. It is proven that he visited the region and at least got as far as Гусиное Озеро (Gusinoye Ozero), close to the Mongolian border. Mongolia is mentioned by Jaroslav Hašek in his description of the field altar "that just as well could have meen used by Buryatian and Mongolian shamans". Mongolia is a republic in Asia between Russia and China that broke away from Kina in 1911. During the Russian civil war Mongolia changed hands several time, but from 1921 the communists led by Damdin Sükhbaatar got the upper hand, something that led to nearly 70 years of communist rule and strong links to the Soviet Union. A legacy from this period is the use of the Cyrillic alphabet. In 1920 Jaroslav Hašek was involved on the periphery of the political struggle for Mongolia and he indeed knew Sükhbaatar in person. In the story Malé nedorozumění (Small misunderstandings), printed in Tribuna in 1921, he writes that he travelled all the way to Urga (now Ulaanbaatar). 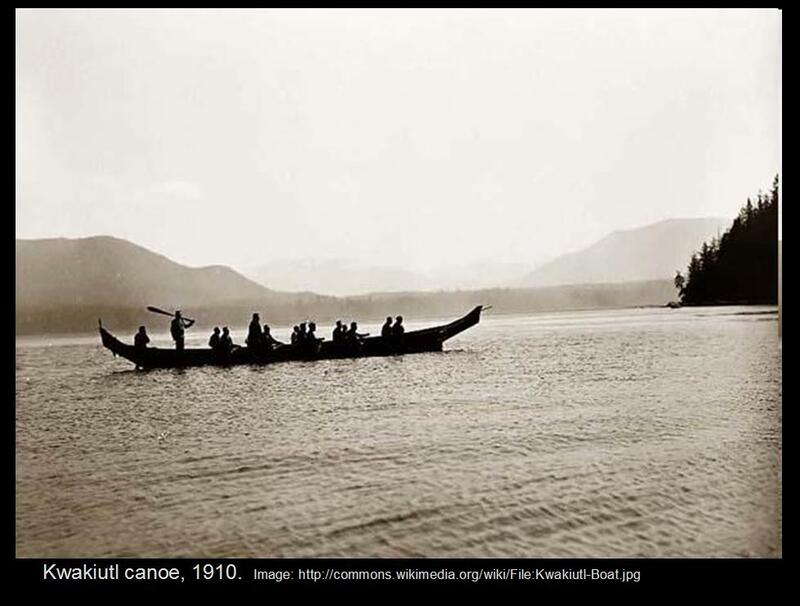 This story has not been verified and is surely an example of "mystifikace", such a journey would during the short time he stayed in Irkutsk in 1920 been practically impossible. Wyandotte is mentioned indirectly through the Wyandotte chicken who cackle themselves into the story twice. First when the author describes the altar that Katz uses for his field mass, and then when Marek tells about his unfortunate experiences as editor of Svět zvířat (Animal World). Wyandotte is the name of several places in the US, but the name of this chicken breed is taken from the Huron tribe who also call themselves Wyandotte. The tribal headquarters are located in Wyandotte, Oklahoma. The breed of chicken was officially recognised in 1883 and borrowed the name from the above-mentioned Indian tribe. In Europe a midget-variation was bred later. Jaroslav Hašek obviously knew about this animal breed (and many others) from his time as editor of Svět zvířat in 1909-1910. During his time as an editor the magazine printed a few stories on "wyandottek" and even provided photos. [I.11] Namaloval nějakého ptáka, který mohl být stejně holubicí jako slepicí bílých wyandotek. [II.3] Opět mne přerušil a řekl, že mu to úplně stačí, a jestli jen polovičku toho podaří se mně splnit, že mně daruje párek trpasličích wyandotek z poslední berlínské výstavy drůbeže, které obdržely první cenu a majitel zlatou medalii za výborné spáření. Posázaví is mentioned by the author when he describes the field altar and where he compares some of its motives with the landscape by the Sázava. Posázaví is a region in the Vysočina region, and is the name of the area by the river Sázava. The river flows from east to west, the source is the lake Velké Dářko and it flows into the Vltava by Davle south of Prague. This was an area Jaroslav Hašek knew very well from the time he lived in Lipnice nad Sázavou, near the upper part of the river valley. [1.11.2] Vojáci se vždy hádali a luštili ten rebus. Někdo myslel dokonce, že je to krajinka z Posázaví.